This Kelly green Irish apron with shamrocks features a printed witticism. This Irish apron has a printed design with shamrocks that quips, When Irish Eyes are Smiling...you know something’s cookin.... 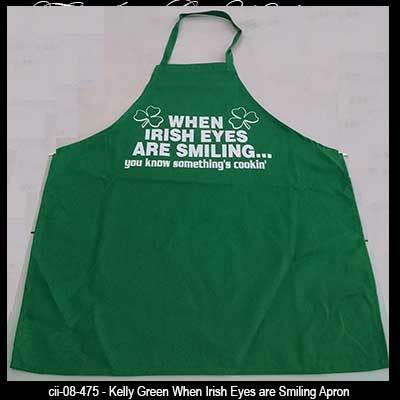 The Kelly green Irish apron is a heavy cotton/poly blend with white text and shamrocks; it is great for the kitchen or grill and one size fits most.